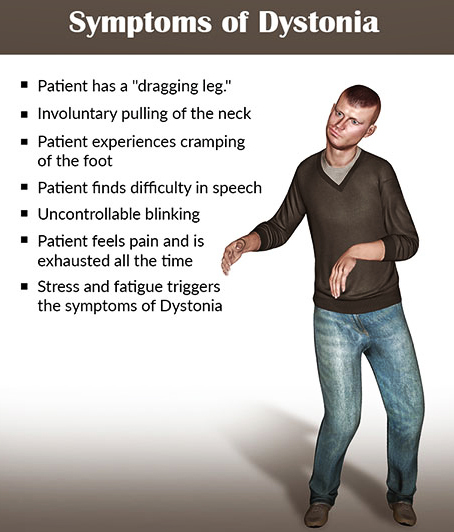 Paroxysmal exercise-induced dystonia, also known as PED is a neurological disorder that affects the movements of limbs. A 28 year old Chinese male, suffered from a mild injury to the head. A CT scan revealed that he did not suffer from any brain damage. But about two months after that incident, he started complaining of painless dystonia while he jogged. The symptoms occurred frequently after every 20 to 30 minutes and they would always initiate from the right side. The dystonia lasted for about 15 to 30 minutes, but the symptoms would increase in aggressiveness due to added physical exertion. The patient’s wife reported that there were episodes when he was not fully responsive during specific times of the day, for example in the early morning or sometimes even before dinner. Consuming any food item that was high in sugar resulted in the episodes being resolved. His appetite also increased incredibly and he gained 5 kilograms in merely 6 months! Apart from all other tests only a brain MRI revealed any anomaly, it showed that he had sustained an axonal injury in the left part of his brain. He was made to fast overnight and then asked to exercise. About 20 minutes into the exercise his symptoms returned and as expected, they aggravated by exertion. Once he stopped the exercise his conditions improved in about thirty minutes and his symptoms completely vanished after he consumed a chocolate drink. Before the exercise and the chocolate drink his serum glucose level was 1.8 mmol/L, after the chocolate drink, it rose to 2.1 mmol/L. Abdominal imaging showed that he had a lesion which was approximately 1 cm huge in the pancreatic tail. This was removed and its histology showed that he had been suffering from insulinoma. Two months after the operation, he was able to exercise for 45 minutes without any symptoms of dystonia resurfacing and he did not suffer from any dystonia related symptoms since then on. 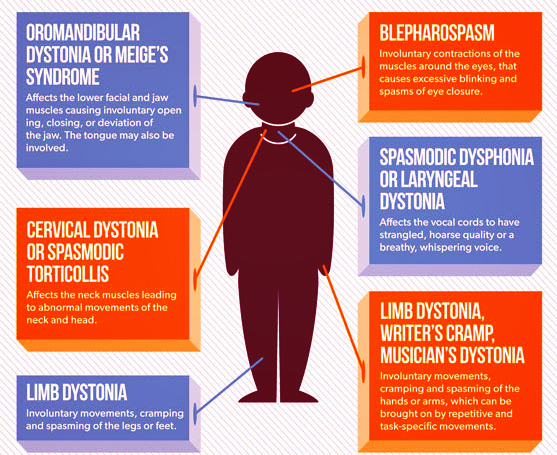 Paroxysmal exercise induced dystonia is a kind of paroxysmal dyskinesia. The attacks are usually brought on due to extensive exercise and the best course of treatment is yet to be determined. Hyploglycaemia was mostly seen to have neurological effects like seizures. There has only ever been one case of PED linked with insulinoma. Head injury can result in focal dystonia along with lesions in the thalamus or basal ganglia. Mild head injuries can cause lesions that are only visible in the MRI. Paroxysmal hemidystonia has also been caused due to an injury to the head. Insulinomas are characterized as tumors that have a very slow growth, it is completely possible that the insulinomas may have been present before the head injury in the above mentioned patient, but the PED was activated after the injury. The hyploglycaemia induced by insulinoma and the lesions in his globus pallidus regions most likely resulted in his PED.